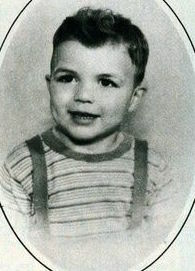 Thomas William Selleck was born on January 29, 1945, in Detroit, Michigan, US. His father, Robert D. Selleck was an executive and real estate investor and mother, Martha S. Jagger was a homemaker. e has three siblings, an elder brother named Robert, a younger sister named Martha, and a younger brother named Dani. His family relocated to Sherman Oaks, Los Angeles, California in his childhood. Selleck belongs to English, German ethnicity. In 1962, Selleck graduated from Grant High School and eventually, earned a basketball scholarship to the University of Southern California. During this time, he supported himself as a model and works on small parts in films and television ventures amid the 1970s. Selleck's first television appearance was in 1965 as a college senior in "The Dating Game." Soon after, he worked in commercials for products such as Pepsi-Cola. He then started his career with minor parts in smaller movies, including Coma, The Seven Minutes and Myra Breckinridge. He was also featured in a number of TV series such as "Marcus Welby," "M.D.," "The Wide World of Mystery," "The Young and the Restless," "Taxi" and "Charlie’s Angels." Selleck breakthrough act came in 1980 when he won the starring role of CBS's detective series "Magnum, P.I." He played an easygoing private investigator, Thomas Magnum, for which Selleck earn an Emmy and a Golden Globe. The top-rated show debuted in December 1980 and became a major hit, lasting for 8 seasons till 1988. Despite the fact that he was hindered by CBS from featuring in the 1981 film "Raiders of the Lost Ark" because to series obligations, Selleck managed to comeback to the big screen again. In 1987, he appeared in a critically acclaimed film "Three Men and a Baby" alongside Steve Guttenberg and Ted Danson. Selleck also starred in the 1990 sequel "Three Men and a Little Lady" as well as projects like "Quigley Down Under", "Mr. Baseball", "In and Out" and "The Love Letter." Beginning in the mid-1990s, Selleck had a successful run as a recurring guest on NBC sitcom "Friends," playing the love interest of Monica Geller (played by Courteney Cox); for which, Selleck received a Primetime Emmy Award nomination for Outstanding Guest Actor in a Comedy Series. Selleck also starred in a number of TV movies, including "Jesse Stone" series, in which he portrays a New England police chief. The talented actor received yet another Emmy nomination for the role and served as an executive producer for the films. Selleck also plays a police commissioner in the drama "Blue Bloods," which debuted on CBS in 2010. 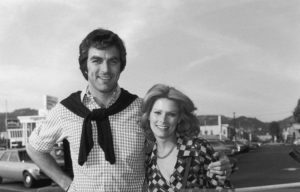 Selleck was previously married to model Jacquelyn Ray from 1970 to 1982. He has one son, Kevin Selleck (born. 1966) with Jacquelyn Ray. He married his current wife, actress Jilly Joan Mack, in 1987. The couple has one daughter, Hannah Margaret, who was born on December 16, 1988. The family lives in Fallbrook, Freedom, and Thousand Oaks, CA. For a number of years, Selleck showed up in TV advertising for National Review and supported Senator John McCain in the 2008 presidential election. Selleck portrays himself politically as "a registered independent with a lot of libertarian leanings." In a 2012 interview, he mentioned that he likes the way that his character on "Blue Bloods" and his Reagan family members are visibly practicing Catholics while adding that he is not very religious himself. As of 2017, Thomas William “Tom” Selleck has an estimated net worth of $25 million. He owns a summer residence in Jonesboro, Maine. In the 1980s—specifically around the time of filming "Three Men and a Baby," Selleck also owned a home on Lakeshore Road in Burlington, Ontario, Toronto. 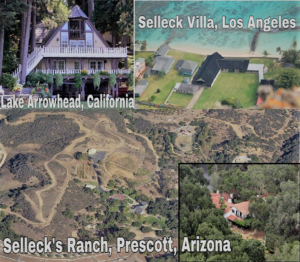 Selleck likewise bought farm property close to the historic town of Prescott, Arizona. Other than being an actor, he is also a film producer, who involved behind the scenes of the cinema business.